Snowy Desktop 3D is perfect to get you in the mood for the winter holidays. A beautiful snow scene with falling snow on your desktop, blue sky, trees covered with snow. Animated falling snowflakes on your desktop does not prevent job. Snowy Desktop 3D animated wallpaper is perfect to get you in the mood for the winter holidays. 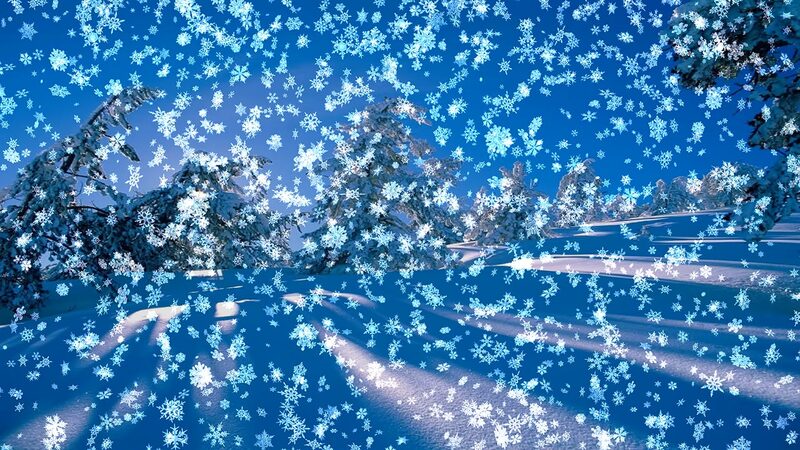 A beautiful snow scene with falling snow on your desktop, blue sky, trees covered with snow. Animated falling snowflakes on your desktop does not prevent job. Several wonderful landscapes. Add life to your desktop wallpaper! Hyperstars 3D is an animated wallpaper which will fascinate you with the impressing flight through a hyperstars. It will also act as a screensaver with a hyperstars effect. Comet Goldfish Wallpaper is an interactive and smoothly desktop background which let you click of your mouse to guide Comet Goldfish fish in any given direction. There are probably many people, who may remember that Vista had an effective function called DreamScene. It allows to set video wallpaper in .wmv or .mpeg format as a desktop background. In order to reveal the opportunity to use this function again. Showa Koi Wallpaper is a amazing nature wallpaper which will bring you moving Showa koi fish to your desktop.